2:2 and Jesus and his disciples had been invited to the wedding. 2:3 When the grape juice1 was gone, Jesus' mother said to him, "They have no more grape juice." 2:4 "Madam, what does this have to do with me?" Jesus replied. "My time has not yet come." 2:5 His mother said to the servants, "Whatever he tells you to do, do it." 2:6 Now there were six stone water jars set there for the Jewish custom of purification, containing twenty or thirty gallons each. 2:7 Jesus said to them, "Fill the water jars with water"; so they filled them to the brim. 2:8 And he said to them, "Draw some out and take it to the table master." 2:10 and said, "Every man serves the choice beverage first and when people have drunk freely, then he serves the cheaper grape juice. But you have kept the good juice until now. 2:11 This was the beginning of His signs Jesus performed in Cana of Galilee manifesting His glory - and his students trusted in Him. 2:12 After this he went down to Capernaum with his mother, brothers and disciples. They stayed there a few days. 2:13 The Passover was near, and Jesus went up to Jerusalem. 2:14 And he found in the temple courts those who were selling oxen, sheep and doves; and the money changers seated at their tables. 2:15 And he made a whip from cords and drove them all out of the temple, with the sheep and the oxen and he poured out the coins of the money changers and overturned their tables. 2.16 To those who were selling the doves he said, "Take these away, stop making my LORD's house a place of business." 2:18 The Jewish officials then said to him, "What sign do you show us as your authority for doing this?" 2:19 Jesus answered them, "Destroy this temple and in three days I will raise it up." 2:20 The Jewish officials then said, "It took forty-six years to build this temple, and will you raise it up in three days?" 2:22 After he arose from the death of the physical body, his disciples remembered that he said this, and they trusted the Scripture and the words Jesus had spoken. 2:24 But on his part, Jesus was not trusting them, for he knew all men. 2:25 He did not need anyone to teach him about humankind, for he knew what was inside each person. 1. Verse 2:3. Oinos is a grape juice that can be fermented or unfermented (Matthew 9:17 and Ephesians 5:18). Gleukos is a sweet, fresh grape juice (as in Acts 2:13). The attendees at the wedding were observant Jews. 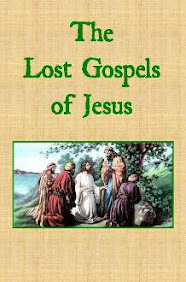 Jesus was a disciple of John the Baptist, who did not drink alcohol, and a teacher and observer of Jewish law. Would Jesus have broken the traditions of his teacher and the Prophets, and turned water into an alcoholic beverage? "LORD, the LORD Almighty, may those who hope in You not be disgraced because of me; God of Israel, may those who seek You not be put to shame because of me. For I endure scorn for Your sake, and shame covers my face. I am a foreigner to my own family, a stranger to my own mother's children; for zeal for Your house consumes me, and the insults of those who insult You fall on me." (Psalm 69:6-9 NIV).